The concentration. The intense look of effort shining through his eyes. The determination to create a work of art like no other. He gave all of his energy to this one task. In this moment in time nothing else mattered. There would be no distractions and no interruption that would take away from where his passion was taking him. The final product would be his most magnificent work ever. This would be his Mona Lisa. 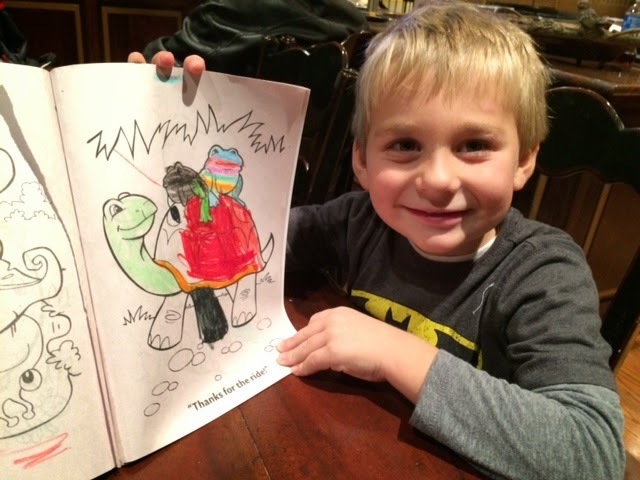 To look into the eyes of an almost 5-year old you can see the innocence in which he worked through this masterpiece. For him, there is no greater joy on this day. The pride he took in this task, as simple as you and I may consider it, is unimaginable. If there were a way to gauge his sense of accomplishment it would be off the charts. He holds the paper with pride. He is Picasso, Michelangelo and da Vinci in this moment. And, if he is fortunate enough, this moment will be repeated hundreds of times over in the coming years. It will be his teachers that will assist me in guiding his passions. As children transform from these early ages of discovery into the classroom of our schools, it is a teacher that is charged with and encouraged to sustain this same level of intensity with the learning they provide. For those that work in the elementary setting you have some of the most authentic experiences one could imagine. However, I would argue as a middle level educator, we get to reap the same reward as our primary counterparts. The path in which we take may be different but the results can be the same. Those that work in the high school setting might argue that the days of coloring are far behind while others may get the crayons out each day. Each of us can answer the question to ourselves of whether or not the crayons remain the cabinet. I would challenge you to get them out and to use them and look for those same moments regardless of the age you teach. Therefore, as you go throughout your day, make sure that you discover the Picasso in each of the students you serve. There are dreamers, creators and inventors in each of them. 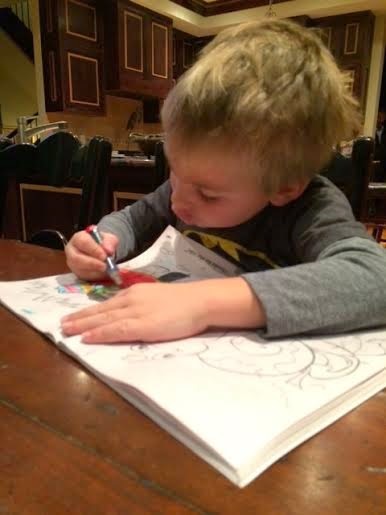 Take the time to get the crayons out and color that frog like no frog has been colored before. The pride our students have within is a pride that we should foster and encourage each and every day. 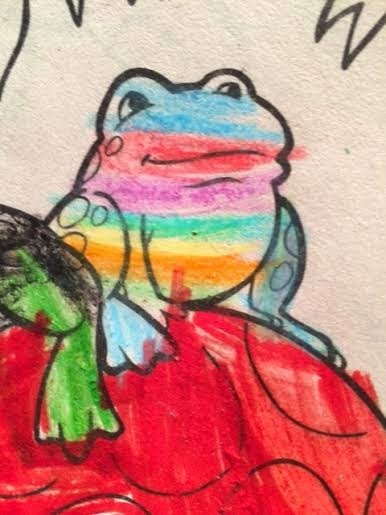 I can only hope that this five year old gets to draw frogs like this every step of the way. It is that time of year. Teachers contact parents and the annual Parent-Teacher Conferences commence. This could be the best, or worst, 15 minutes of your life. For us parents, at some point in our lives, we thought it would be a brilliant idea to have a child. For some, we thought to ourselves, it would be even more fantastic to have a second. For those that went beyond that, like myself, it had very little to do with the thought process at all. None-the-less, we have them. And, now that we do have them, we get to love them unconditionally. Because let's face it, they are ours regardless of the ups and downs of their development. The joys of parenting! As you think about the upcoming PT Conferences and prepare to sit down with your child's teachers, keep in mind that it the relationship with all involved that makes this educational experience what it is. We rely on each other, for good or bad, to ensure the needs of the learner are met. · Be on time for your conference and understand that if you are 5-10 minutes late, then that will affect the entire conference schedule for the rest of the day. · Focus on the 5 things teachers want from parents. 3. Get involved, monitor homework/school work/notes sent home/etc. · Don’t wait until conferences to provide teachers with a list of your concerns. Waiting months to articulate your concerns will only lead to speculation and negative feelings. Many times a quick conversation or e-mail will answer your questions and put your mind at ease. 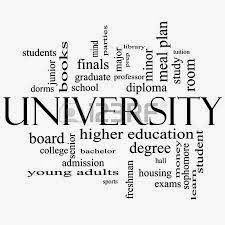 · Understand educators: the teaching profession is their calling and a life-long journey of learning. Teachers act out of love for their students and their passion for educating children, helping them become their best. · Say something positive: Show parents that you have a positive relationship with the child. Show parents that you care about their child as if they were your own. · Focus on the 5 things parents want from teachers (see above). · Act, instead of react. Watch body language of parents and adjust if necessary, focusing on positive collaboration. · Have some suggestions ready, setting goals for behavior or academic needs. Know your students and their academic and behavioral characteristics. · Keep to your conference schedule, and if you need more time then reschedule an additional conference. · Let your principal or colleague know if you need support with any of your conferences. It is always beneficial to work as a team, collaborating to meet the needs of all students. Parents will appreciate the extra support and ideas to increase learning and/or improve behaviors. · Understand parents: there is nothing more important to them than their children, parents act out of love for their children. Even though these interactions are brief they can be powerful. Each party can gain quite a bit of insight on the other person’s lens. The reality is that our children spend an incredible amount of time at school. And teachers often see more of the students during the day than many parents. If it success we are aiming for then let’s work to get there together. As parents we can’t give them back and as teachers we can’t turn them away. Make Parent-Teacher Conferences meaningful for all. It is more than worth it! For more great suggestions, ideas and posts about Parent-Teacher Conferences, check out the blog roll from the #Compelledtribe. Professional Conferences. It’s the people that make the experience memorable. Even in today’s day of being connected, the takeaway from the AMLE Conference in Nashville goes back to the human element. It is all about the people. And, it’s all about the relationships. When we have the opportunity to sit and discuss best practice, experiences and our passions it is inevitable that it will be the contact we have with each other that is what resonates in the weeks to follow. That is what we will talk about more than anything else. After spending three days with educators passionate about kids in the middle, I share my reflections of my experience and a list of suggestions the next time you head out the door to a professional smorgasbord. - Passionate Minds. Get a few thousand people in the same city, under the same roof, remove all distractions and task them to grow as learners. On top of that, they are all focused on the same thing. In this case, middle level educators who care about the adolescent and their development through some of the most challenging years of their lives. Dive-in. - Keynotes are Key. There is a reason they start the day and there is a reason certain people are tasked to kick-off conferences. Dru Tomlin and his cast of characters had this on their minds throughout the schedule. We need those hooks to inspire us and motivate us for the day of learning that lies ahead. - Take Notes. Our brains are amazing in all they can do at any given time. However, there is so much going on throughout the day that we better jot some of this stuff down. Whether electronically or old-fashioned paper and pen, you are going to want to refresh your memory once you get back home. - Introduce Yourself. For those that get in front of the group and present I give you credit where credit is due. Some people are meant to be in the audience while others can command a room. If you sit through a session and are inspired by what you have learned, take the time to thank the person that delivered it. Both parties will appreciate the simple gesture. - Get, and Stay, Connected. Many of us are tweeting, blogging and surfing the web often for ideas, direction and suggestions for our own work. Sitting in a room on a Friday night conducting #mschat with 25 others is jaw dropping. Connect names to avatars and ideas to faces. You’ll be amazed on how the connections raise the energy in the room. I am connected therefore I am one step ahead. - Ask Questions. When we signed up we assumed we knew what we were getting in to. We saw the keynotes, got excited about the pending experience and set a course for the trip. Many would say that sometimes the best sessions are the ones we know the least about. As you walk around the conference ask others sitting across the table about their experiences. Two fold – you’ll gather some more great ideas and you will “get connected” along the way. As I make my way back home this morning I am eternally grateful for the experiences over the past few days. Even more so, I am grateful for the friends that I made. It is these new relationships and the conversations we had that will motivate me to continue the work for middle-level students, their teachers and the community. Yesterday I wrote about a risk. One that was calculated but yet still considered one. 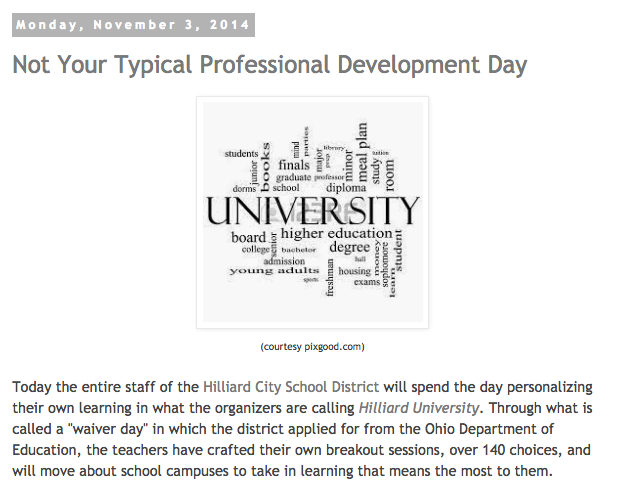 You can check that post out here: Not Your Typical Professional Development Day. I would start by stating the day began with eager nervousness. There were new rules, new presenters, new expectations. Once the first session was under way it smoothly transitioned into confident professionalism. As lunch arrived there was collegial laughter and smiles. The day ended with professional banter, exchanging of best practices and an entirely new appreciation for the capacity each posses in their ability to share what works best. We shared our stories, our passions and our motivations. We became the teachers. And, we became the learners. Take a few moments and view some of the hundreds of tweets from today. And, if you are so moved, take this idea to your district leadership and see if this is something you can pull off where you work. Whether small scale, or large, don't create obstacles and don't find excuses. As you will see, you will be glad you did. Today the entire staff of the Hilliard City School District will spend the day personalizing their own learning in what the organizers are calling Hilliard University. Through what is called a "waiver day" in which the district applied for from the Ohio Department of Education, the teachers have crafted their own breakout sessions, over 140 choices, and will move about school campuses to take in learning that means the most to them. The courses being taught are by them and it is for them. After hours of planning, the organization for the day is simple. There is a catalog in which all of the courses are listed by location, time and audience. There will be "check-in" sheets at each session, some online at that. And, important to note, there will be nearly 2000 educators (certificated, classified and administrative) that are being given professional courtesy to get where they want to go and to learn what they want to learn when they want to learn it. The agenda is their catalog. The "lunch break" is up to them. And, there are no reminders to get to the next session or "break times" when the bladder calls or the legs are cramped. Could your district pull this off? And, simply stated, "Will it work?" We are personalizing education to our students and to their learning styles. As educators we are introducing opportunities never used before. Choice and Voice, PBL, Genius Hour and other innovative methods of instruction are a part of the planning process. Blended Learning is a part of our vernacular. Connecting the learning environments and the technology is common practice. Innovative spaces are emerging at every turn. There is no traditional model of delivery. We are inventing new instruction spaces daily. Technology and social media as a whole are consuming the work that we do with our community of learners. We are, like never before, connected. And, we are teaching and learning with passion. Today is the ultimate test to see if we are as far in the process of teaching and learning as we think we are. We have been embracing these ideas, concepts and educational trends. We believe all of the work the time and the effort will be worth it. We are risk takers. And above all else we know it is what is best for kids. For those that work here, we know that the HCSD is an innovative place. Now let's see if we can practice what we preach. Enjoy your not so typical day of professional development. To see what is happening today during this Professional Development, check out @THEHilliardU on Twitter!